Chosen for their own unique characteristics, these original reclaimed cladding pieces are ideal for traditional Victorian properties. Original & planed edges open you up to varying options of how rustic you want your feature walls to look. Phone to discuss current stock & what we can offer you in this sought after range. See the specifications available for this product below. Click “get quote” and a member of our team will be in touch. Please leave your e-mail and phone and one of our representatives will be in touch with you shortly. Even colour. Mainly clear boards. Occasional pencil knots less than 11mm allowed. No split or saps permitted. 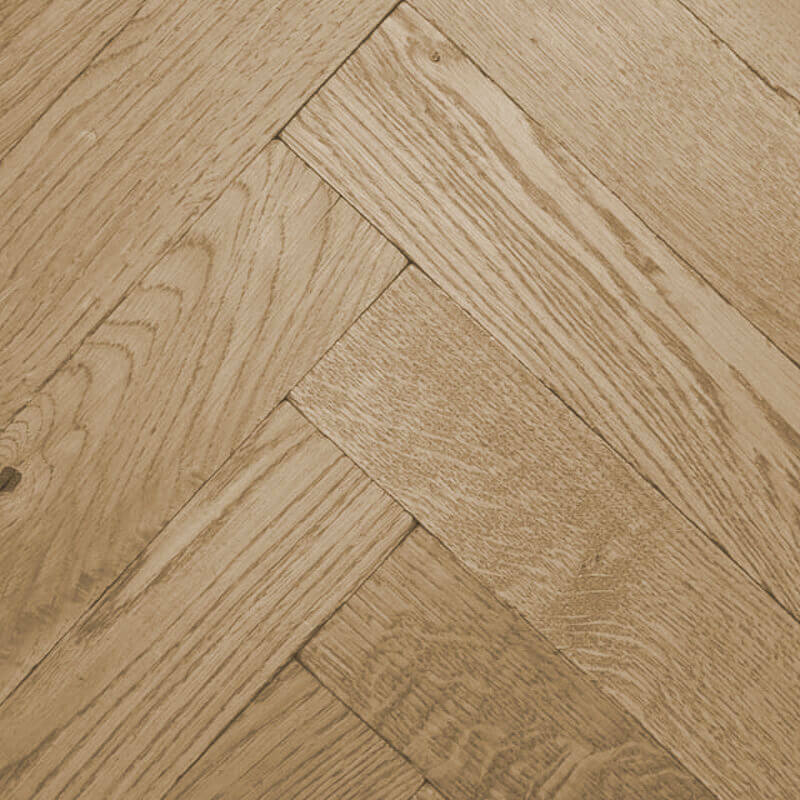 Available on: Bristol Tectonic®, Original Tectonic® Herringbone, Giant Herringbone, Versailles Panels, Giant Planks. Colour variation permitted. Occasional clear boards. Unlimited knot size. Knots less than 60mm may be filled or fillable. Occasional small stable end splits allowed with one end up to 100mm in length. Occasional sound hard sap up to 10% of face area of the board. Limited minor colour variation permitted. Many clear boards. Occasional knots allowed. Knots less than 35mm may be filled or fillable. Maximum average of 3 knots per linear metre of board length allowed. Occasional small stable end splits one end up to 50mm in length allowed. Occasional sound hard sap up to 5% of face area of the board. Colour variation permitted. No clear boards. Unlimited knot size. Knots may be filled or fillable. Occasional small stable end splits one end. Occasional sound, hard sap up to 10% of face area of the board. This grading is a mix of our other oak grades with varying characteristics. 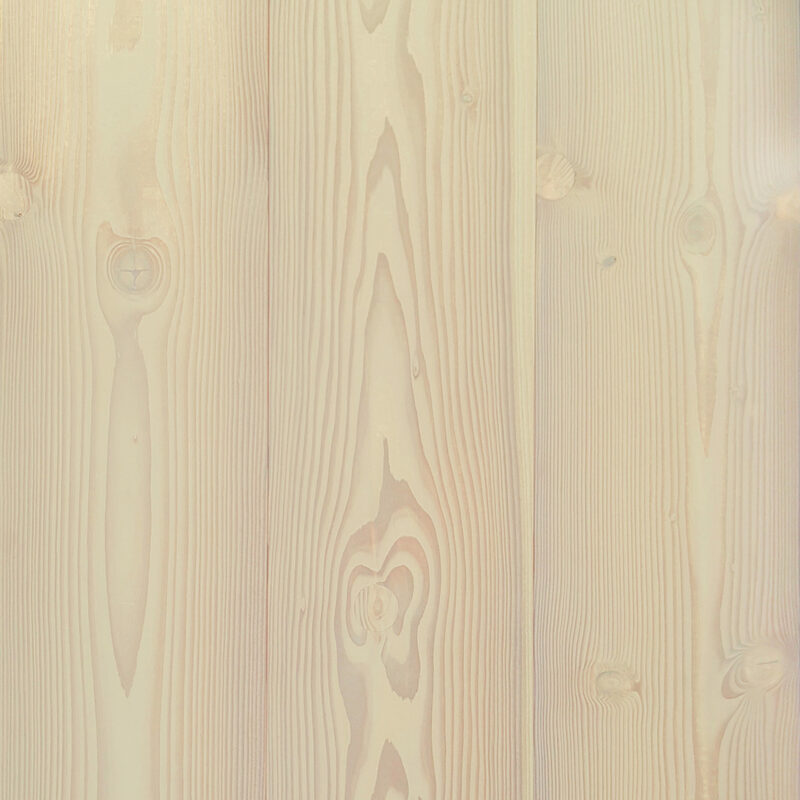 All grades may contain smaller or larger colour variations and traces of sapwood. 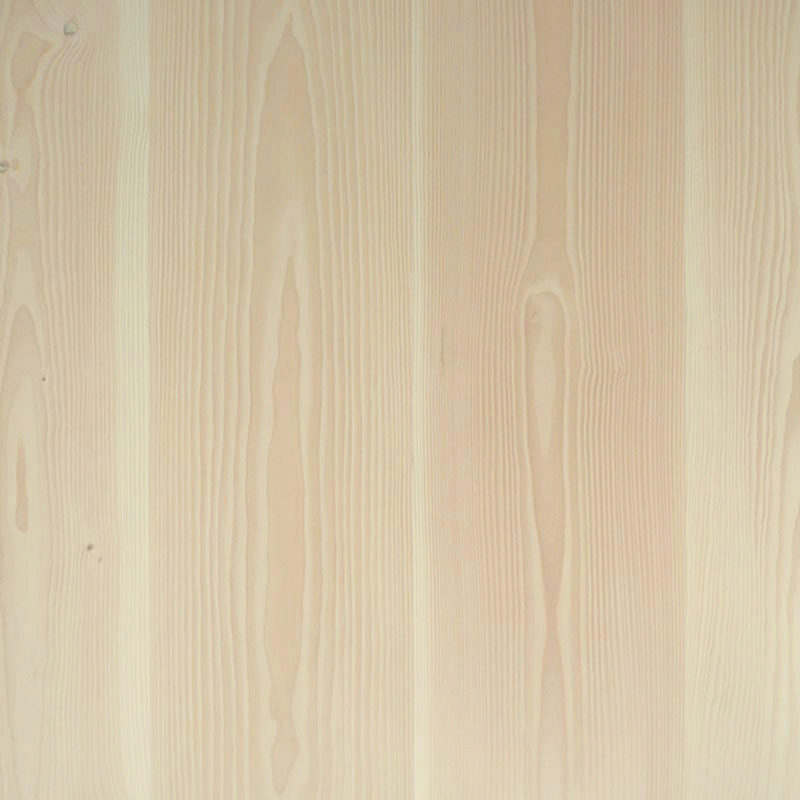 Colour of boards, amount of clear boards, knot and splits or sap will vary per batch. 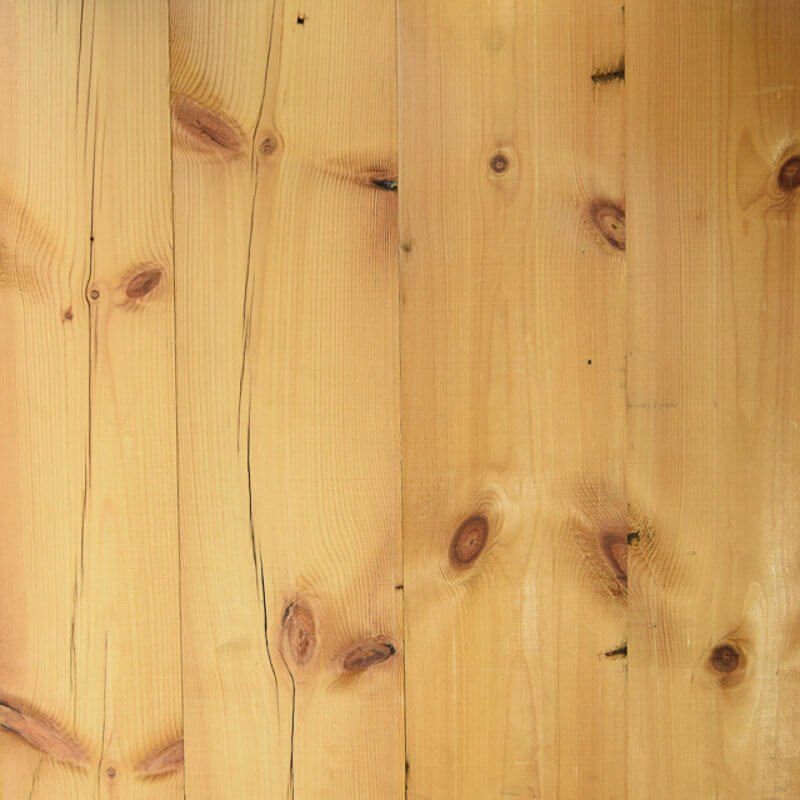 Available on: All Douglas Fir products (except reclaimed). Sound knots allowed up to approx. 3cm, open knots replaced by 3cm plugs. No splits Permitted. Sapwood allowed. Sound knots are allowed without any limitations, open knots are replaced by 3/5cm plugs, open pin knots are filled with putty and sapwood is allowed without restrictions. Heart and end cracks up to 10 cm are allowed but are filled. Unselected for colour (brown). Occasional sound knots – max. 2 cm. Minor (end) cracks up to 20 mm allowed. Sap allowed. Available on: All Elm products. 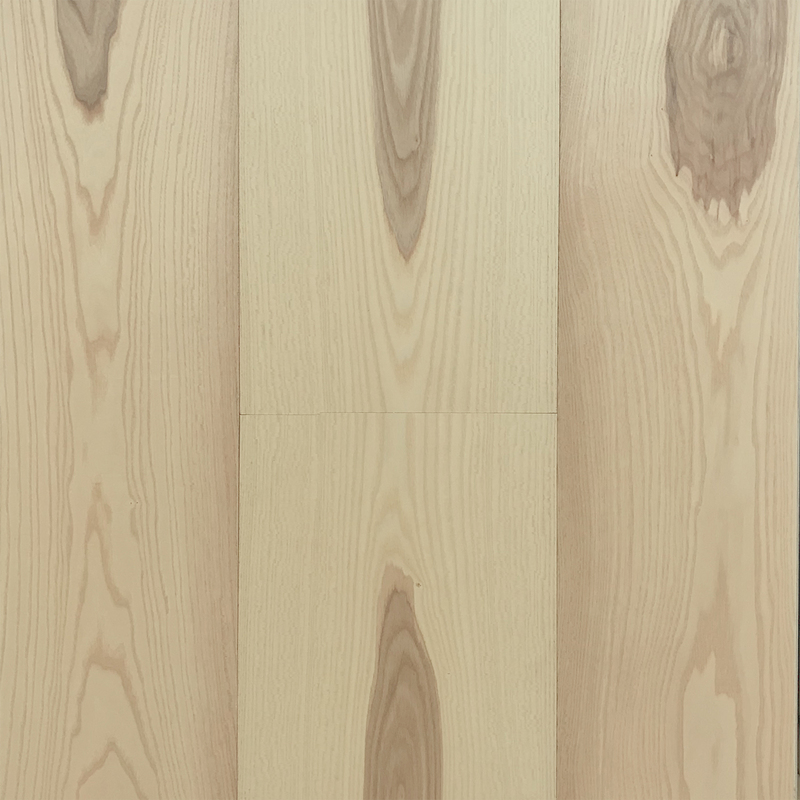 Dutch Elm is a rare wood species, as such it is supplied in a mixed width and in a mix grade only (known as Mill Run). The grading is a mix of 4 grades with varying characteristics. 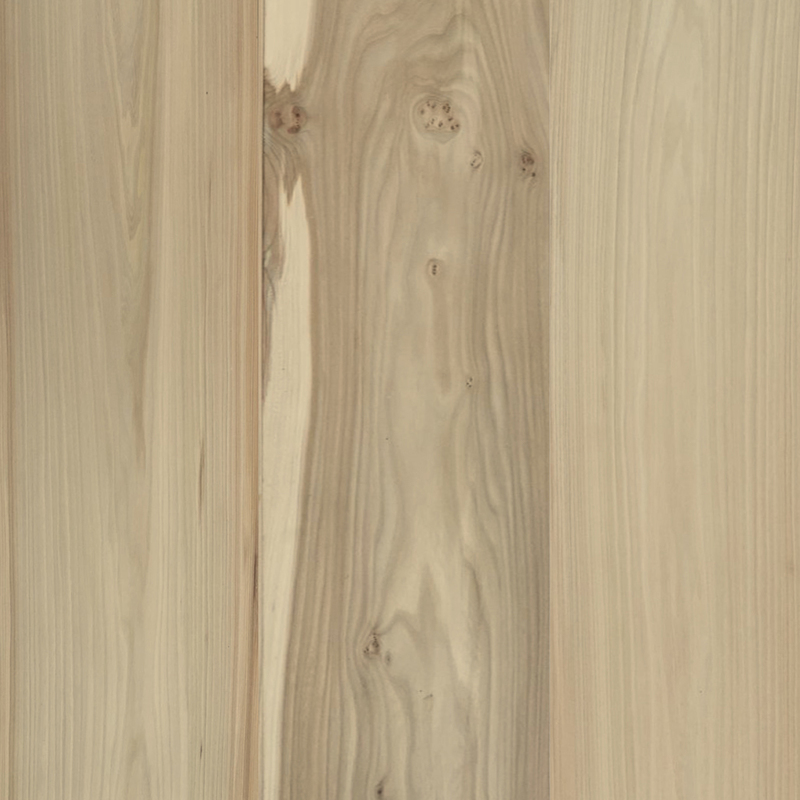 All grades may contain larger colour variations and traces of sapwood, as this is typical for elm. Grade Type 1: Sound pin knots up to 1cm. Grade Type 2: Sound knots up to 2.5cm, knotholes max. 1.5cm, minor cracks up to 10cm. Grade Type 3: Sound knots up to 5cm, knotholes max. 4cm, some traces of heartwood (up to 30cm), occasional end cracks (max 20cm), ingrown bark up to 6cm long (cleaned and filled). Grade Type 4: Sound knots without restrictions, knotholes max 5cm, heartwood, cracks up to 60cm, ingrown bark up to 6cm long. 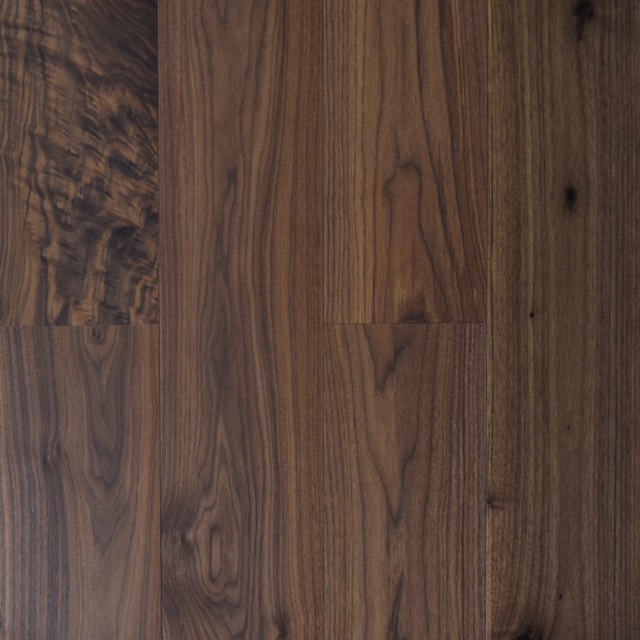 Available on: All Walnut products. Brown discolouration allowed, no centre core. Mainly clear boards. Sound Knots less than 11mm allowed. Open knots less than 10mm are filled. No end cracks or sap allowed.